ConceptDraw DIAGRAM diagramming and vector drawing software offers the Timeline Diagrams solution from the Management area which is rich for the timeline examples, samples, templates and ready-to-use vector shapes. All timeline examples and samples included in Timeline Diagrams Solution are professionally designed and available for ConceptDraw DIAGRAM users from ConceptDraw STORE. Use of ready timeline examples will help you in drawing timeline diagrams. Each sample or template from the offered in ConceptDraw STORE can be used as is or as the base for your own timeline diagram. 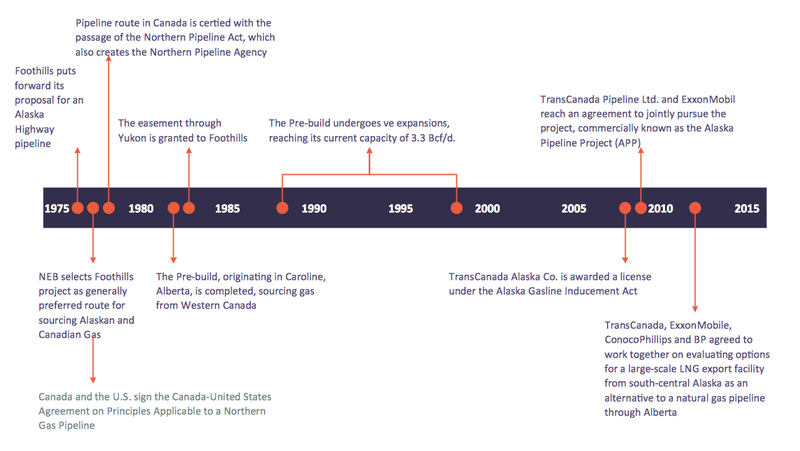 The timeline examples you see on this page were created in ConceptDraw DIAGRAM software using the tools of Timeline Diagrams Solution. An experienced user spent 10 minutes creating each of these examples. Use the Timeline Diagrams Solution to create your own timeline diagrams of any complexity fast and easy. All source documents are vector graphic documents. They are available for reviewing, modifying, or converting to a variety of formats (PDF file, MS PowerPoint, MS Visio, and many other graphic formats) from the ConceptDraw STORE. 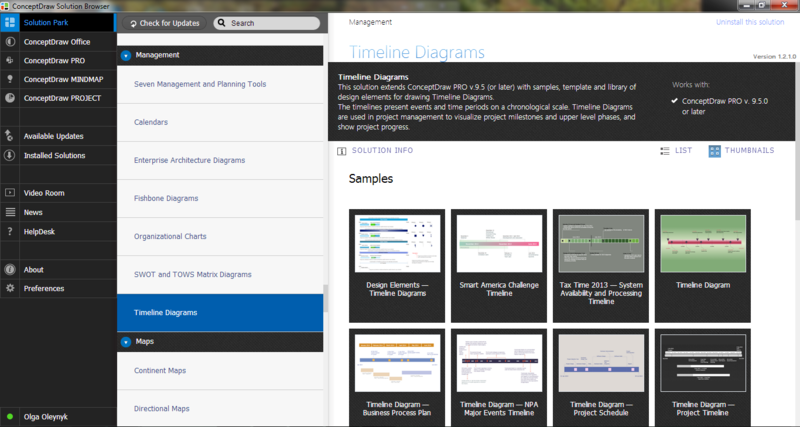 The Timeline Diagrams Solution is available for all ConceptDraw DIAGRAM or later users. The Gantt Chart is the main interface in ConceptDraw DIAGRAM v12 JECT. It summarizes the tasks in your project and presents them graphically so you can easily view your progress. One of the three main constituents of any enterprise is the Control and Information Architecture. The rest two are Production facilities and People and Organization. Timeline is a type of diagram which illustrates the series of events in a chronological order on a linear timescale. How to make a timeline? It is convenient to use a modern powerful software. ConceptDraw DIAGRAM v12 diagramming and vector drawing software extended with Timeline Diagrams solution from the Management area is exactly what you need. ConceptDraw DIAGRAM v12 JECT’s powerful reporting engine lets you generate a set of tabular reports with just one click, or visualize your project as Radial Tasks Structures, Work Breakdown Structures and Resource Calendars. It also provides you with dynamic Project Dashboards.